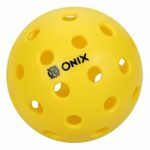 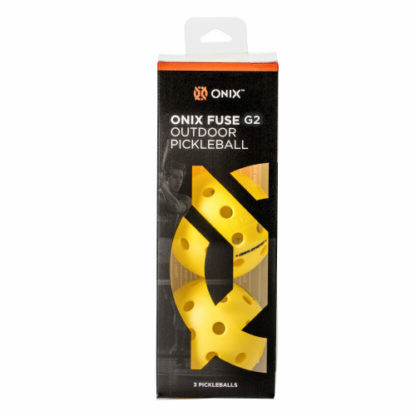 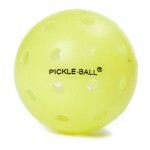 Onix Fuse Outdoor Pickleball Balls (Yellow). 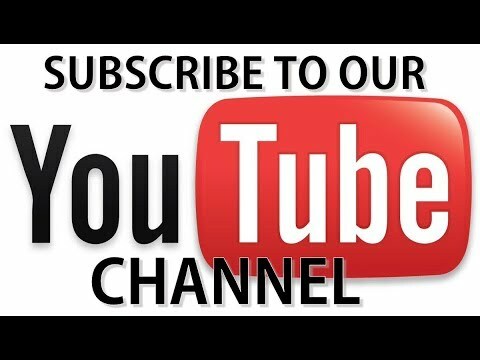 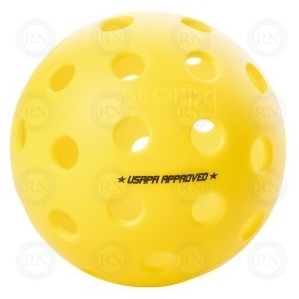 Bulk prices starting at $3.49 per ball. 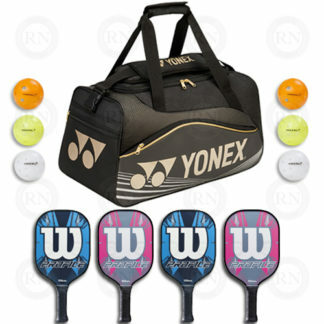 Exclusive online offer. Offer not valid in-store. 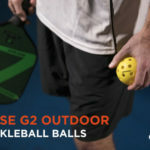 Ready to play right out of the box, the all-new ONIX Fuse G2 Pickleball creates a consistency between indoor and outdoor game. 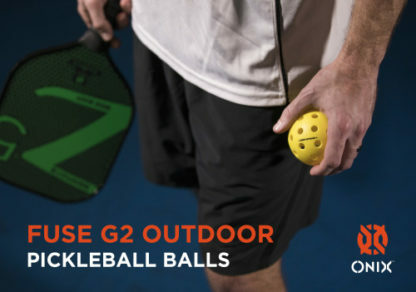 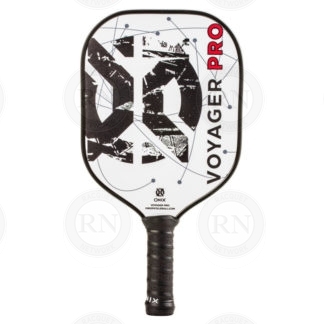 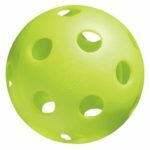 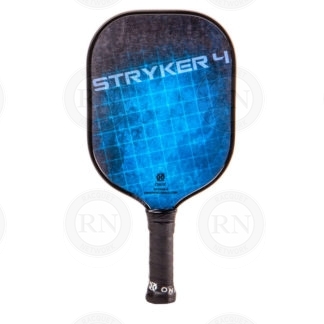 These all-new pickleballs are specifically designed and optimized for pickleball, providing the truest flight and most authentic bounce available. 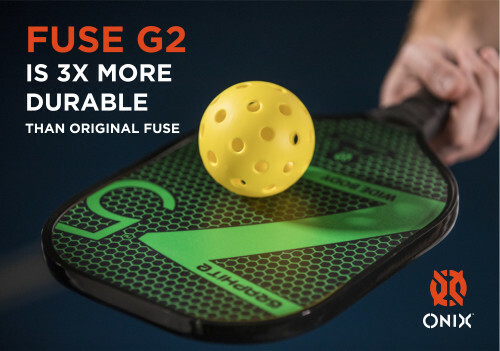 The Fuse G2 balls have exceptional seam welding offering greater durability and resists splitting. 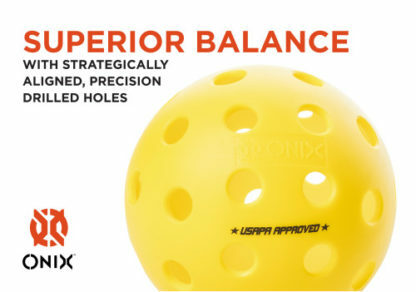 The superior balanced ball is strategically aligned with precision-drilled holes. 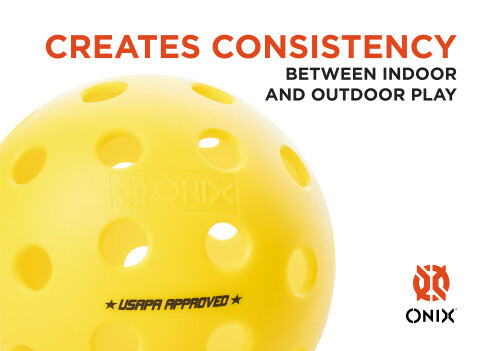 The indoor ball provides a larger hole pattern and less bounce off of indoor courts, such as concrete surfaces or gymnasium floors. 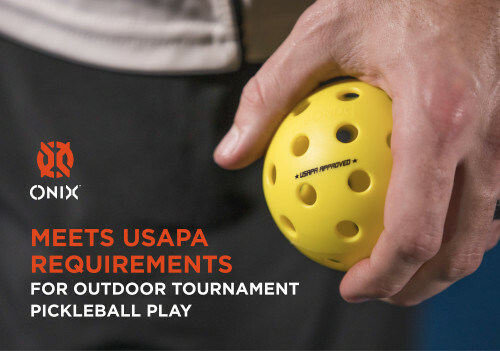 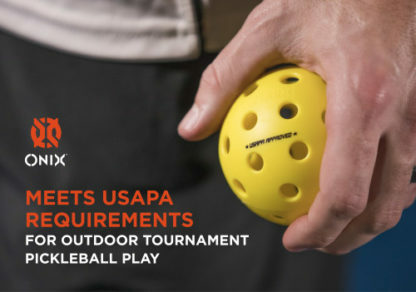 The balls meet USAPA requirements for outdoor tournament pickleball play.